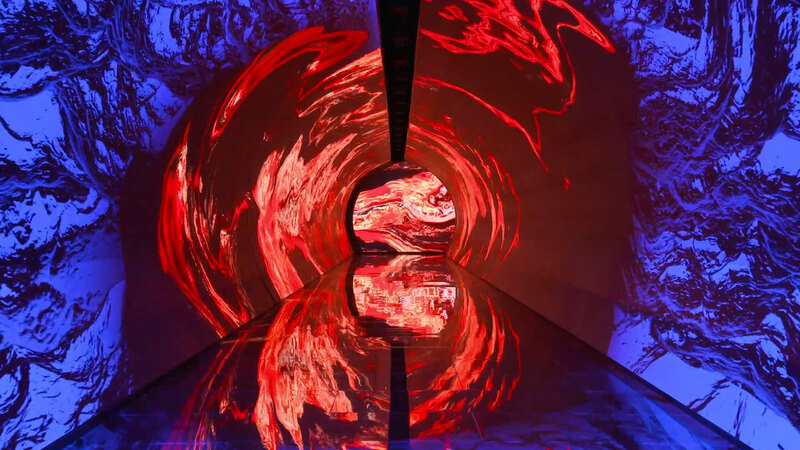 Under the direction of artist Jon Rafman, The Mill’s Emerging Technology team developed visuals for an immersive video installation titled The Ride Never Ends for Balenciaga’s Summer 19 Fashion show in Paris. The video was shown in a tunnel that enveloped both the runway and the audience from floor to ceiling and was made entirely of LED screens. The installation was developed by Jon Rafman and The Mill in collaboration with Demna Gvasalia, Creative Director of Balenciaga. Rafman’s work focuses on the impact of technology on modern day life. The glitchy visuals, reminiscent of early 2000s digital media, were mixed with organic fluid simulations, which came together to reinforce the concept of our physical world being overrun by digital content.